Germany’s high-value European property could lose its value if the country fails to watch out for its neighbourhood, the former EU Trade Commissioner tells EURACTIV in a wide-ranging interview. 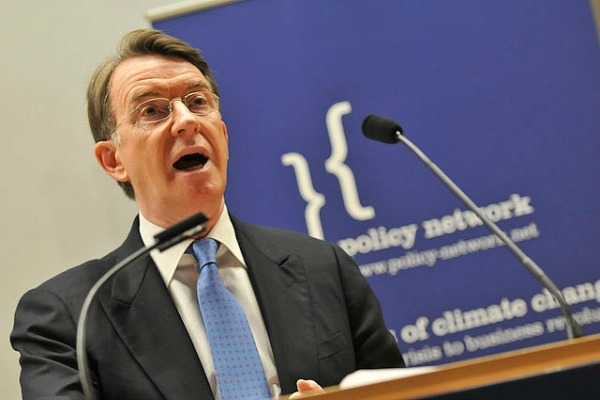 Peter Mandelson, Baron Mandelson, is a British Labour Party politician and president of the international think tank Policy Network. As an MP, he served as a minister in a number of positions under Prime Ministers Blair and Brown. Are you concerned about a decline in British influence in the EU? A lot of senior Brits are retiring from the institutions. Look, Britain has an outstanding record of public service and it’s contributing its public servants to European and international institutions. The Commission at the moment has some of the best of British in their ranks. But in the future, they are likely to dry up if we don’t take more seriously the need in the future to encourage British recruitment at the senior level in Brussels. People will only reach high levels if they go from the bottom up. Do you believe that the crisis has had a democratising effect on Europe? I didn’t say that. I said that we have seen a greater Europeanisation of national politics, and we have seen a democratisation of European politics. What others describe as the democratic deficit – but which I prefer to term more a legitimacy deficit – is very serious. It is possible, however, that having Europe put on the table [as a political issue] – in many member states to a greater extent than before – we may see the process going the other way. National politics will become more European and politicians will want to contribute their ideas and arguments more to EU institutions where important decisions are being taken. This is going both ways: with more Europe in national capitals, and more national politicians taking their responsibility seriously with Europe. Debate in the UK is focused on EU migration and the free movement of labour, with some resentment drawn from the large number of migrants from Poland and Eastern Europe after 2004. Do you think the Labour government made a mistake not to follow the example of other continental governments and impose restrictions on such migrants in 2004? You have to understand why in 2004 we didn’t impose those restrictions. Firstly, we were great advocates of enlargement. We had worked for a long time to include the new states into the EU and it would have been hypocritical if – having wanted them to come into the EU – we wanted to deprive their citizens of the principle of free movement of people. Secondly, ten years ago, the British economy was doing very well, whether that’s the case or not, British businesses and employers had vacancies that they could not fill up with British citizens, and that is why they looked outside of the EU. The economic situation has changed. We were insufficiently conscious of the impact migration would have on some of our public services and local communities. That is why [Ed] Miliband apologised for what the last Labour government got wrong. I happen to believe that the last government got less wrong than was implied in the apology, but we need to draw a lesson from what we did, and apply those lessons to future decisions. You have said that some of UKIP’s message is based on notions of British identity which are detached from the pragmatic economic interests of the UK. Many might ask how you – having supported Britain’s entry into the euro – can be in a position to argue economic pragmatism. How do you think a pro-European campaign can be positioned? Membership of the euro is not on the British agenda, but that might change. 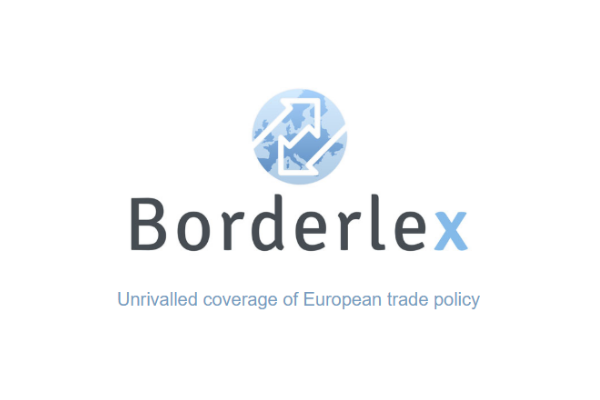 The eurozone might reemerge, and when it will, the euro will become a reserve currency in the world, Britain’s relationship to that currency might seem more attractive than now. There are fears of the impact on labour organisation. In 1990, it seemed that growth was self-evident, globalisation would provide great benefits for Europe and we should unhesitatingly embrace globalisation. It looks slightly different now. Standards of living have fallen and we have a rather less attractive social state of Europe than we had all those years ago. My answer to that – that is: should we protect ourselves from the world, or try all kinds of globalisation – is to say that best response to globalisation is to give people a chance to succeed. But that depends on policies, changes, reforms. The policymakers need to meet in Europe in order to equip ourselves better to embrace globalisation. How do you react to those who say that Germany needs to play a more active role in the EU in response to the crisis, and commensurate with its economic and political might? Germany occupies the best property within our European community, but it may find that the value of that property may start to come down if the neighbourhood deteriorates. You mentioned Germany and the UK, but what about France ? Many see worrying political conditions there with President Hollande weak and strong anti-European public opinion. We share many attitudes [with France] that we see in Britain, but it doesn’t mean the French government will ally with Britain to adopt solutions. I’d apply that to the EU as a whole. Across the EU, member states are struggling with these issues of globalisation, immigration and cross-border migration, and the public backlash that we are seeing. No member state alone can prepare a solution without the EU as a whole acting in a united way. And the main problem for Britain in this context is that it has become less attractive and respectable for member states to align with Britain even when what Britain is saying is true and the policies we are advocating are right. When I was a Commissioner, ten years ago, there was a whole group of member states who wanted to be in Britain’s camp, but that camp has emptied out in recent years. It is to the detriment of Britain and EU as whole. Would you have any advice to the French Socialist Party, as someone that has lived through reforms of the Labour Party? Centre-left parties across Europe, including France, have got to get real. As a centre-left, we have all insufficiently built our own centre-left alternative which is viable in the 21 century, as against the sort of propositions of the far right. Condemning others views is backward looking, unless we are able to present a viable alternative. That is a huge task that the centre-left faces in Europe now. For example, the think tank which I am president of (Policy Network), we are thinking hard about helping over time with this issue. There could be a referendum on the UK’s EU membership during 2017. UKIP leader Nigel Farage will clearly lead a campaign for the UK to leave. Is it a problem that those who might want the UK to remain, from the Conservative and Labour parties, might be disunited? A referendum is a possibility if the Conservative government will continue to lead after the next elections. I hope they will achieve the right combination of policies in Europe that will enable David Cameron to recommend that the UK stays in Europe, and other parties will do likewise. UKIP is not only fighting to take Britain out of Europe, it is also fighting to take Cameron out from the leadership of the Conservative Party. In effect, UKIP is trying to undertake a reverse takeover of the Conservative Party. Do not underestimate that this is a fight between the right, on the right, and over who has ideological supremacy on the right: the person on the right, or the person who seeks to replace him. Britain’s national interest is becoming almost incidental to this fight, and it’s not their main focus and preoccupation; it’s a power battle on the right. But this does not excuse the centre-left from fighting hard to keep Britain in the EU. We have an even greater responsibility to make sure that sanity prevails, to prevent Britain committing the self-destruction that would be involved in our exiting the EU. There are different levels we have to fight politically, and the one that interests me is to fight for the British national interest, which relies on keeping EU membership. How do you assess the leadership of the Commission by Jean-Claude Juncker? Many people in Britain had doubts about Jean Claude Juncker and what sort of leadership he would give to the Commission. I believe I am not the only one to have been impressed by two things about his presidency: one is that it is not business as usual for the Commission; it is recognised that Europe is in deep economic and political trouble, and that Europe has to find the means to navigate ourselves out of this. But secondly, his insistence that the Commission not only should do less better, but that it should concentrate on doing big things. I welcome that. I believe he is re-instilling a sense of purpose and discipline in the Commission, which is badly needed and which I hope he will sustain over the next five years. To read a shorter version, please click here. Why would you listen to him, we don’t. The EU keep Mr Mendelson when we leave, we have no use for him.